John Hunter with Constitutional members, Steve Malpass, Herman Desmier and Richard Fullard. 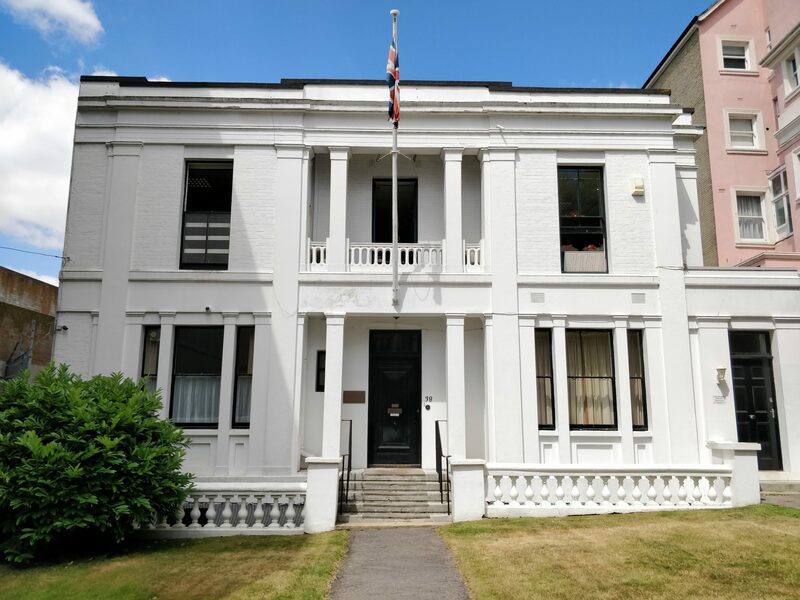 John Hunter, a WPBSA snooker coach from Andover, made a 147 maximum clearance during an exhibition evening at the Bournemouth & District Constitutional Club in Richmond Road, Bournemouth on Tuesday 11th June 2018. 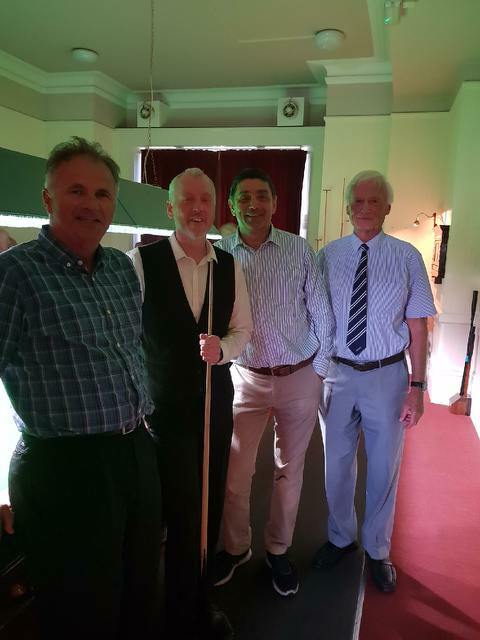 John, who had been coming to the Club to coach some of the players over the last few months, had agreed to an exhibition evening as a special event for the members. He was giving a group of 6 Club members a total of 250 points start for an aggregate score and in the last frame of the evening he proceeded to make the maximum break of 147, taking 15 reds with 15 blacks plus all the colours. This is the third 147 break that John has made but this was the first in a match in front of a crowd of people. “I became nervous as soon as I realised that a 147 was on” said John. “I just had to rely on my set-up and cue delivery to see it through”. It brought the house down when the final black dropped. “It was terrific to watch” said Herman Desmier who was his opponent in that match. “You could watch professionals giving exhibitions up and down the country all year and never see a 147. We were all really pleased that John did this at our Club”. At the ripe old age of 52, John proved that even in the modern era of young players, class shines through. Some of the Constitutional Club members having coaching from John are in their 70’s and 80’s and still enthusiastic about the game. “Looks like I might still have a few years ahead to enjoy the game” said John.